Since Segal’s inception, design innovation has been at the crux of what we do. And now, we’re looking to share our knowledge with the rest of the world! Recently, Coursera teamed up with Northwestern to offer a six-course massive open online course (MOOC) series called, “Organizational Leadership Specialization”. 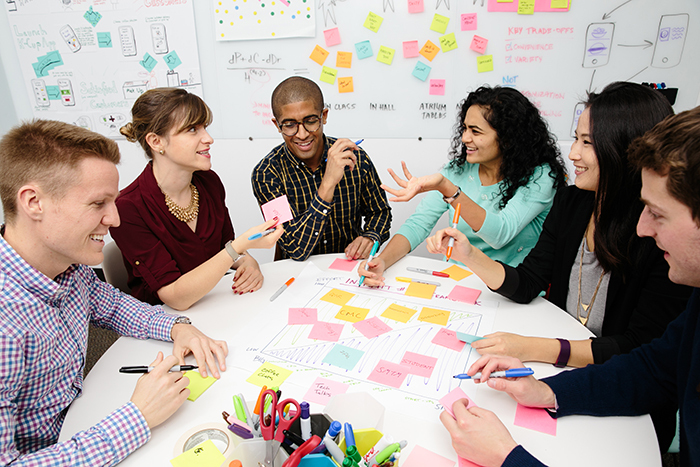 The fifth course in the series, “Leadership through Design Innovation,” launches Jan. 18 and will teach participants about the process and power of design. What’s even more exciting is that the course is taught by four of our very own Segalites: Elizabeth Gerber, Pam Daniels, Ed Colgate and Greg Holderfield.